Date & Time: Friday, 6th Jan, 7:30 pm onwards. 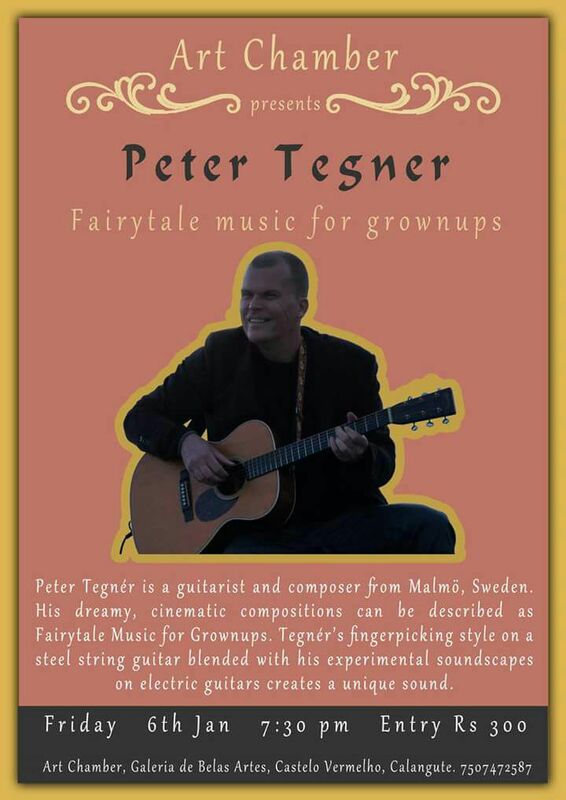 This Friday, the Art Chamber dome will resonate with ‘Fairytale Music for Grownups’ by Peter Tegner a guitarist & composer from Malmo, Spain. His dreamy cinematic compositions played on a steel string guitar with his fingerpicking style creates quite a charm of its own. Fee: Rs. 300/- per person.